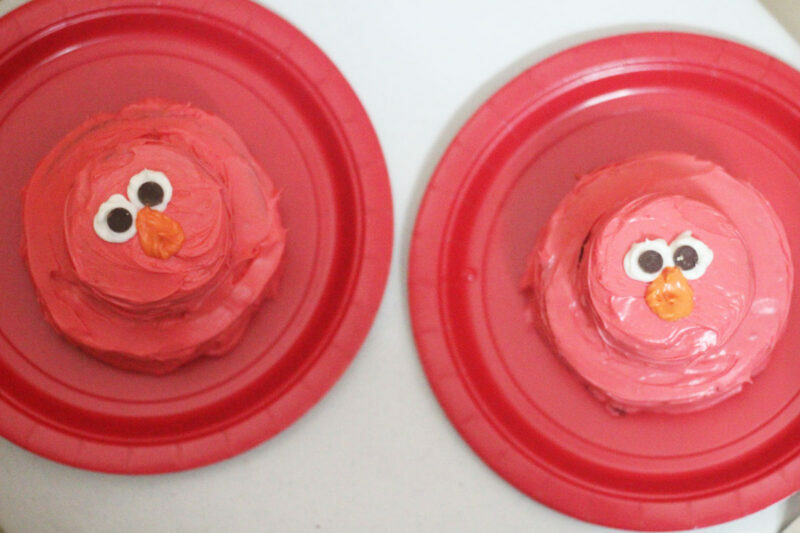 For M’s Elmo birthday party, instead of making an Elmo birthday cake, I made these adorable “layered” cakelettes. Now, to be honest I have almost NO cake decorating experience, and no education, other than watching my own mother decorate many cakes. 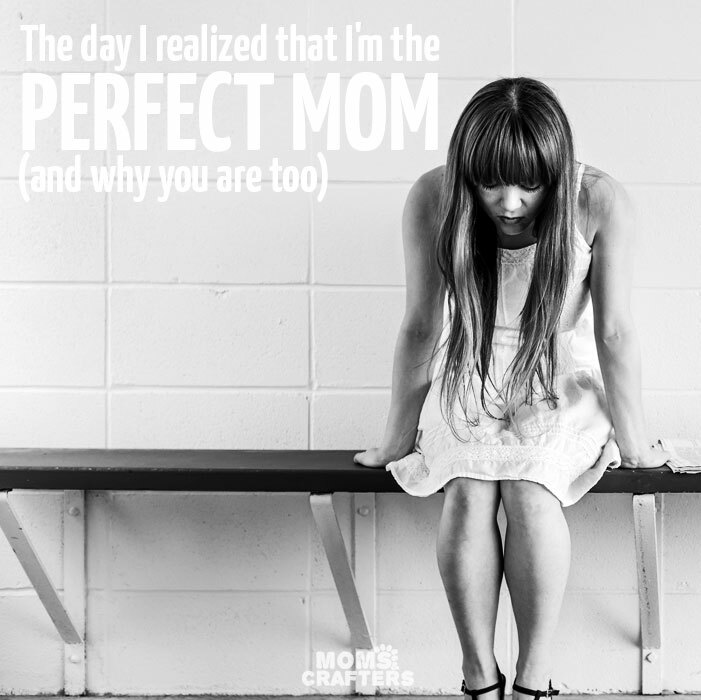 But this one is so simple, you can be a total novice and it will still look great. I decided to go for cakelettes because I had just gotten this adorable pan, and needed to try it out. I didn’t write his birthday number anywhere on the cakes, so it was nice to have two cakes, to represent the birthday number. They have a really cook layered look, but really that’s just the pan shape. 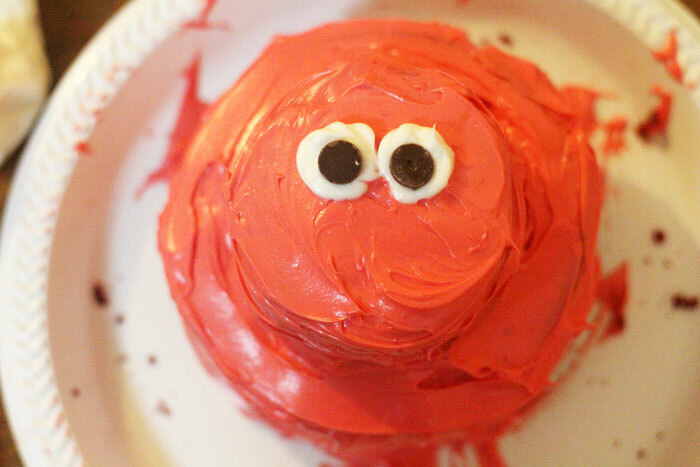 Of course, the Elmo birthday cake delighted M, who didn’t touch it. (He didn’t ask, or I would have allowed it. He was sick-ish that day.) It also got plenty of compliments. Oh, I forgot to add! The perk of having two cakes was that we had a backup to cut when one child dug into it a little early. We did have it on the table as part of the decor, so it’s kind of our fault. Red and yellow food coloring. I HIGHLY recommend gel coloring as it has a richer color, and it’s not easy to get a good red. 1. Bake your cake(s) and allow to cool completely before decorating. 2. 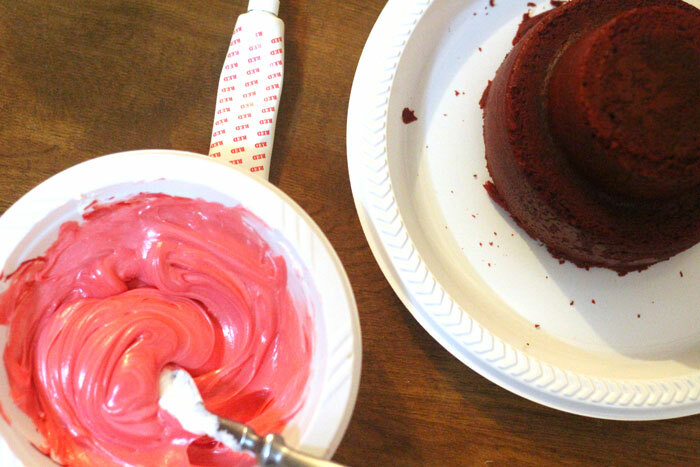 Place a generous amount of frosting into a bowl, and add some red food coloring. 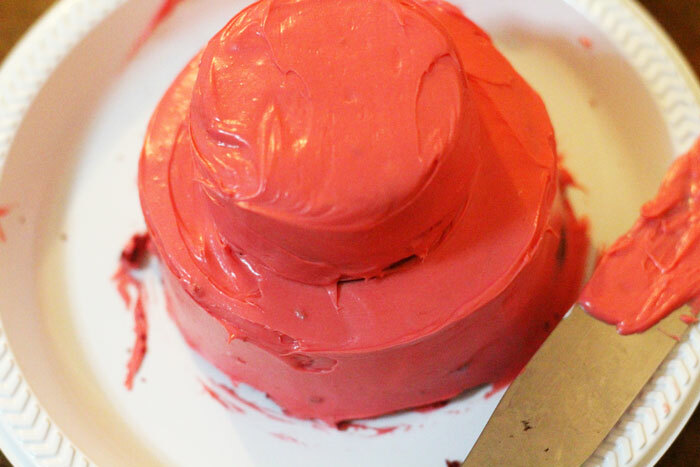 You can use most of your frosting, but reserve a little white. 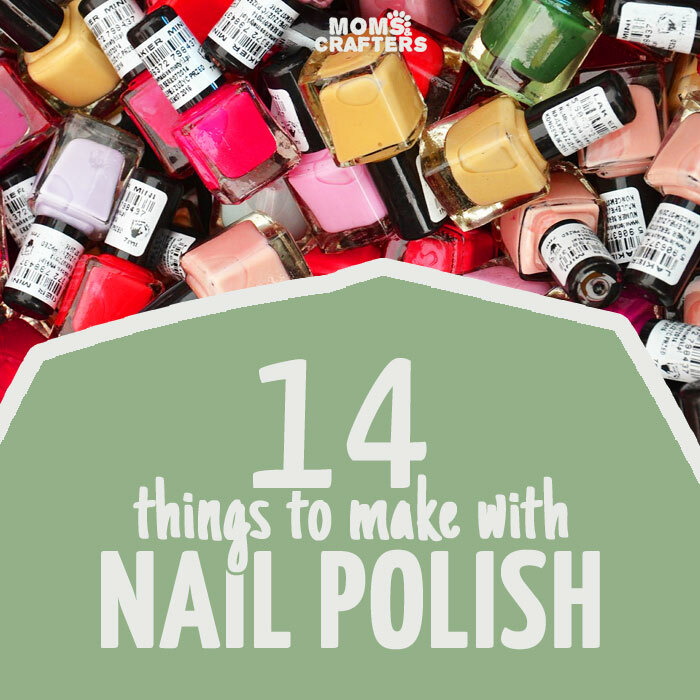 Mix and keep adding until you get a good shade. I did NOT aim for a full fire-engine red. I stopped at a good, deep reddish-pink. 3. Frost your cake. 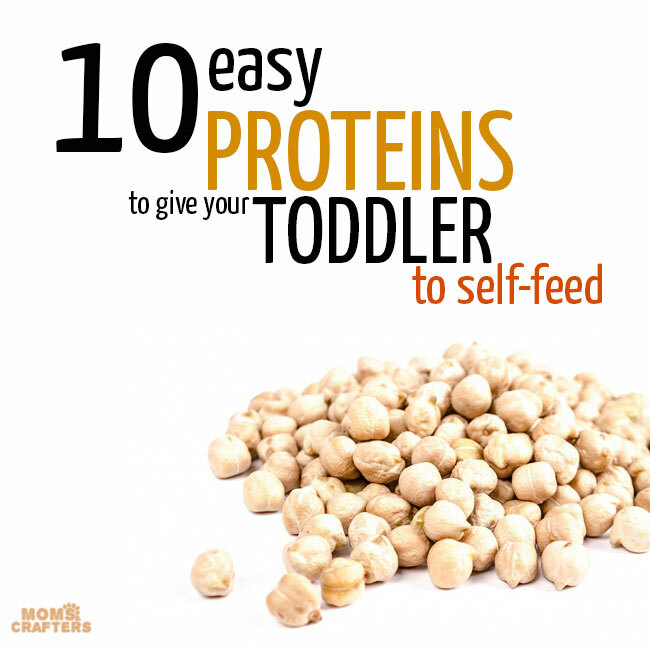 Smooth it over with a spatula or spreader as much as you can. 4. Using a narrow tip, pipe on two white eyes that just slightly connect. 5. Gently press a chocolate chip in the center of each eye, with the tip pointing toward the cake. 6. 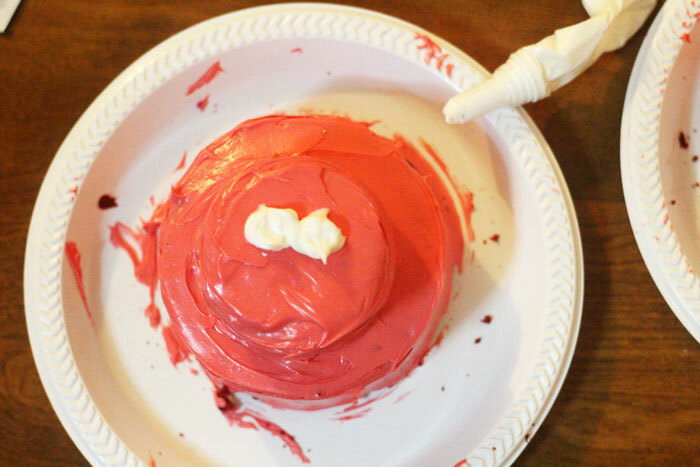 Add some yellow food coloring to your red (or you can mix it up from scratch, as you’ll need a lot of yellow) and pipe on an oval with a pointy top for the nose. It looked great wth the rest of the Elmo themed setup. 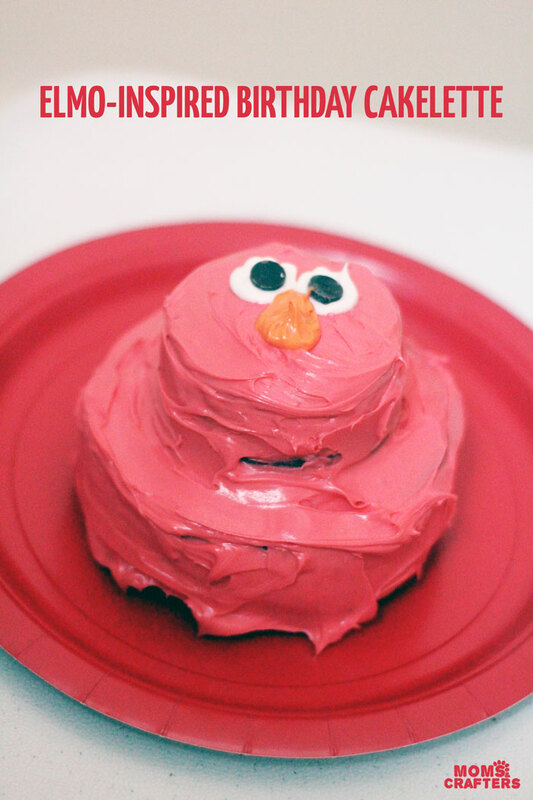 I hope to share the entire party scheme with you in a week or so, but for new, you can check out the Elmo themed tee I made him, and our mini gelatin cups, print some free treat boxes, or check out a list of cool Elmo gifts for toddlers. 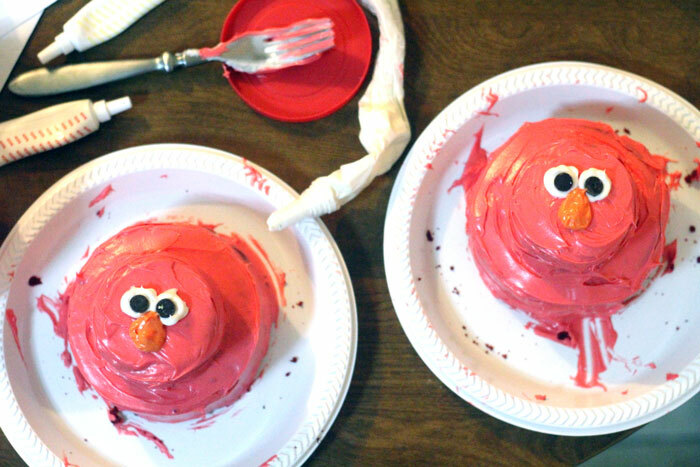 Will you be throwing an Elmo themed birthday party? 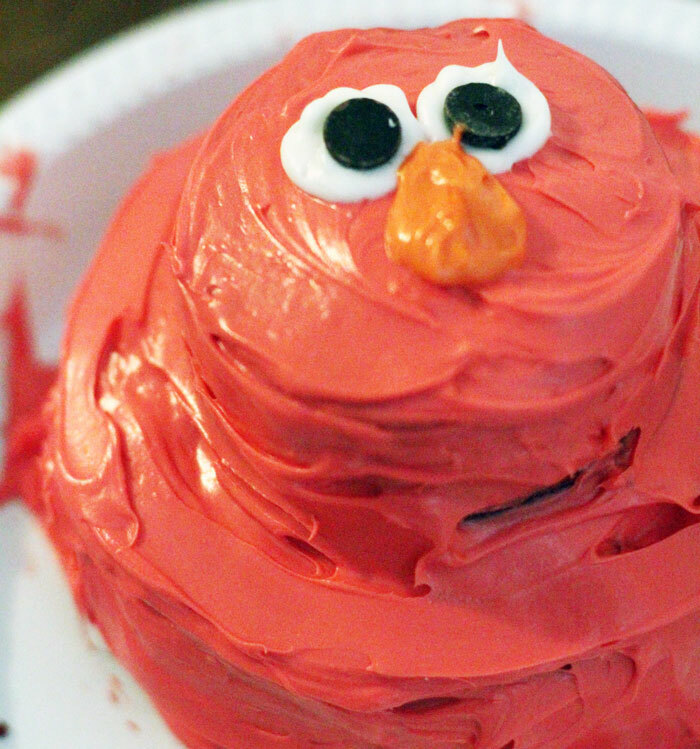 What idea do you have for an Elmo birthday cake? Who will you make it for? First Birthday Planning, Fun foods. Bookmark. 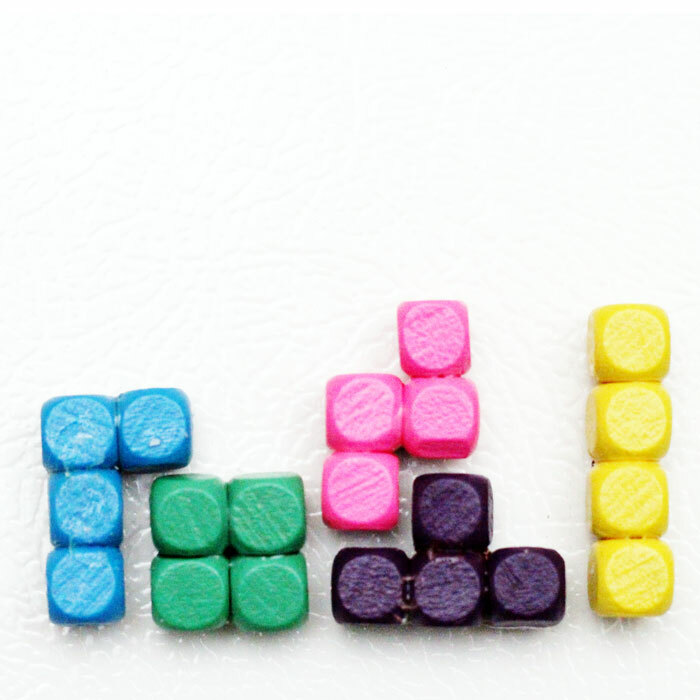 Tetris crafts: 16 Ideas you’ll want to try! 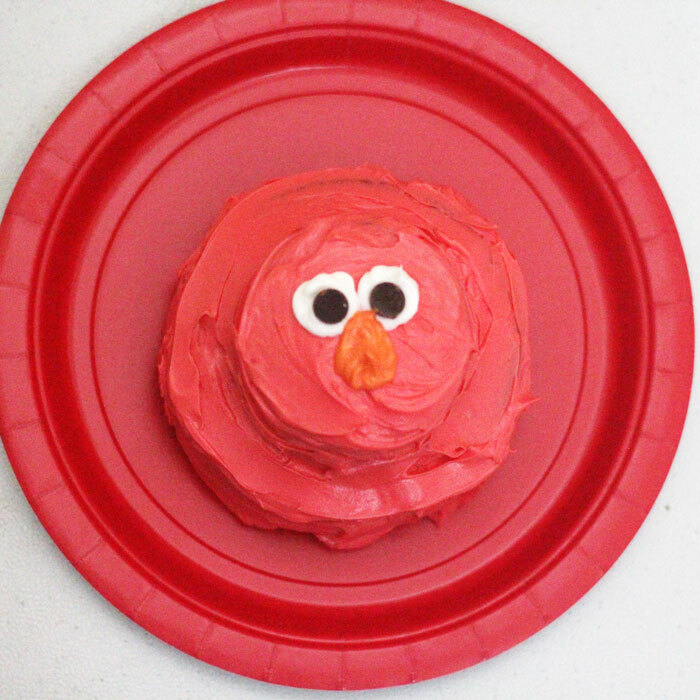 Pingback: How to Throw the Ultimate Elmo Birthday Party - Frugal Mom Eh!